Mediation and arbitration play a role in resolving disputes outside of the court. These methods of conflict resolution are tailored to the trend of judicial relief and assist parties into resolving disputes according to the party’s needs. They take in account personal or business priorities and interests which no court judgement is able of addressing. So why is it that during the recent years the parties tend to lean more towards mediation, instead of arbitration or litigation? It is commonly known that binding arbitration is often perceived as a preferred method of going to court, given that it is always more formal, time consuming and expensive in comparison to mediation; such that it hands over the final decision-making authority to a third party2. In arbitration, a judge and jury decides the merits of the case based on the law and facts that may lead to one sided results; and has become more adversarial in the sense that the parties are obliged to proceed with both their lawyers and a third-party decision maker that will impose the judgement.3 For these reasons business lawyers often persuade parties to only enter into arbitration after either negotiation or mediation has failed. 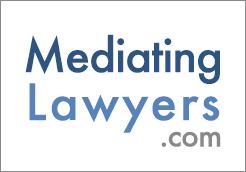 The whole idea of mediation is to use a neutral third party to facilitate a deal amongst the parties. 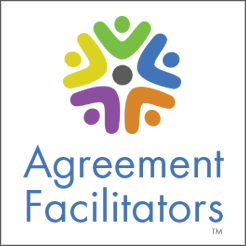 Mediation is a favored ADR technique as it focuses more on the parties towards settlement through compromise and negotiation. It has the advantage of reorienting parties towards each other, not by imposing rules on them. It assists the parties with achieving a new shared perception of their relationship with an innovative view that will redirect their attitudes towards each other. Commercial Conflict., Vol 34 No.7 July/August 2016. Pp99-101. Edition. Wolters Kluwer, 2016. Pp 556. Law, Straus Institute for Dispute Resolution. P3. Being awarded with an LLM in International Dispute Resolution and Arbitration from the University of Pepperdine has allowed me to learn more about disputes’ dynamics, national and international laws’ interplay, and the effective mechanisms to address a wide variety of disputes ranging from international commercial disputes to international investment disputes. I have also completed another Masters in International Commercial Law from the University of Westminster in London. This gave me the opportunity to develop knowledge in the English and European legal system as I nurtured a deep level of knowledge about European Union Law, and wrote my Dissertation on the Liberalization of the Energy Market in the European Union. I was awarded with a certification for mediation last year from the Center for Dispute Settlement. Being in Europe where I was raised, provided me with the opportunity to be exposed to multicultural environments and settings. This opportunity has taught me to connect with people that are from a diverse range of cultural, socio-economic and political perspectives. Moreover, my teaching experience in the University of Westminster in London in the area of management and economics enabled me to enhance my learnings in the leadership and communication skills, which has taught me how I can relate to others in culturally sensitive ways. In terms of legal experience, I am director and legal advisor of Nexdon LLC. My duty is to draft contracts, and manage any conflicts that may occur, manage statistical and financial records, set and achieve sales and profit targets, recruit, train, monitor staff, and negotiate with contractors and suppliers.